Photo gallery of a Black/Grey/Plaid Converse All Star Chuck Taylor Double Upper High Top for sale, men's size 10 1/2. 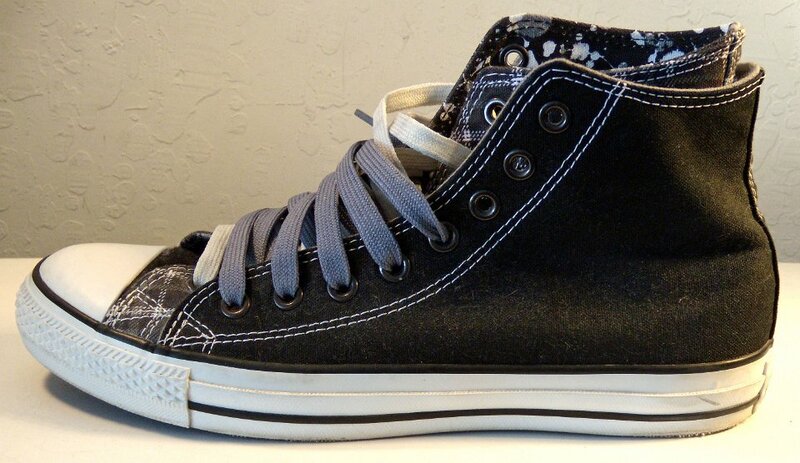 1 Black/Grey/Plaid Double Upper High Top Chucks Inside patch view of the right high top. 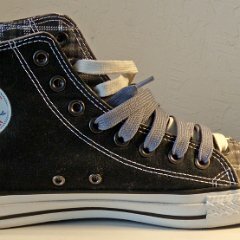 2 Black/Grey/Plaid Double Upper High Top Chucks Outside view of the right high top. 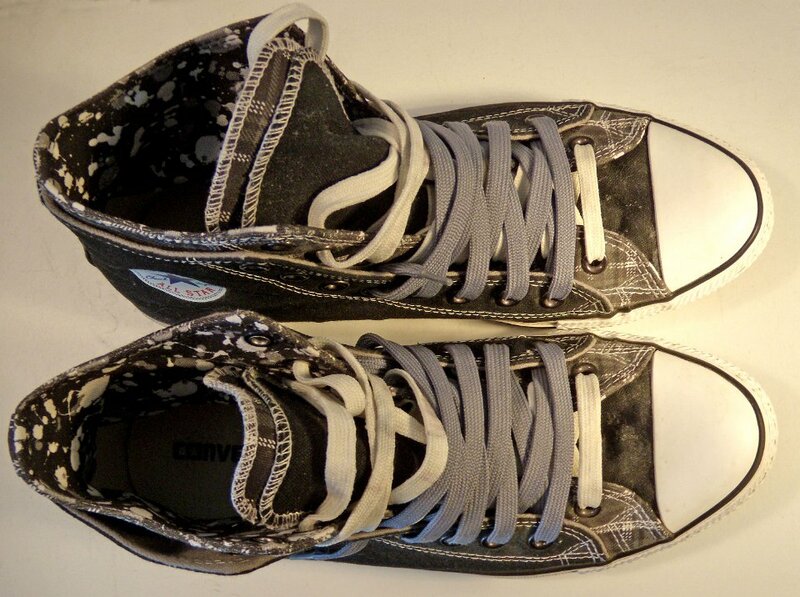 3 Black/Grey/Plaid Double Upper High Top Chucks Inside patch view of the left high top. 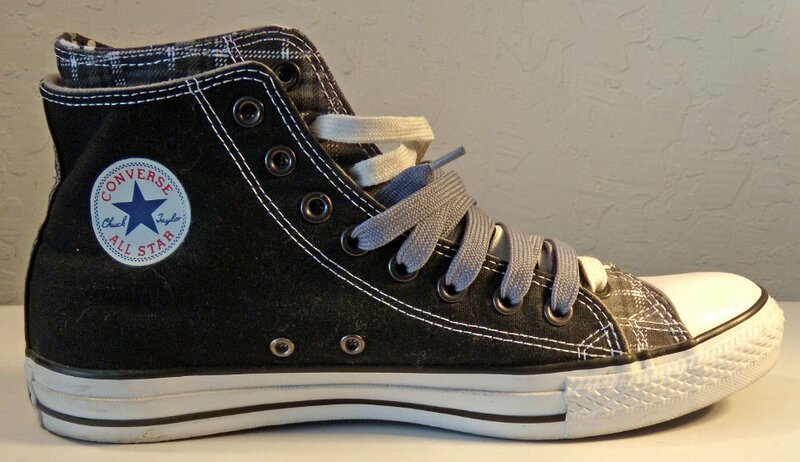 4 Black/Grey/Plaid Double Upper High Top Chucks Outside view of the left high top. 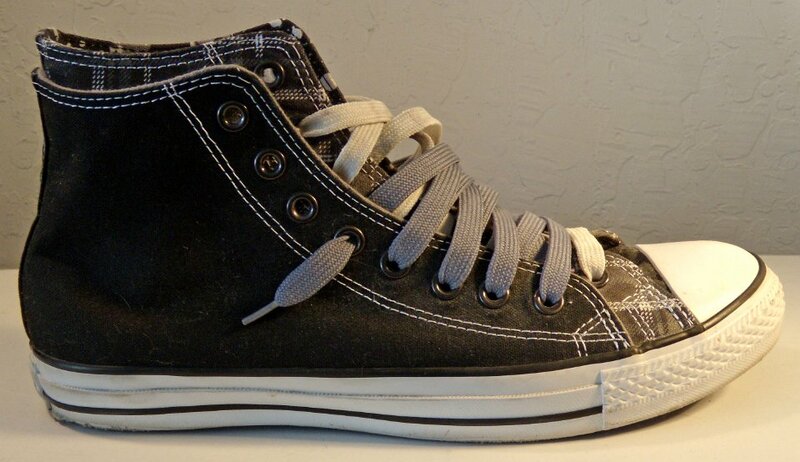 6 Black/Grey/Plaid Double Upper High Top Chucks Front view of the high tops. 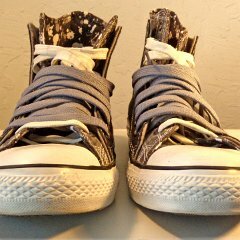 7 Black/Grey/Plaid Double Upper High Top Chucks Top view of the high tops. 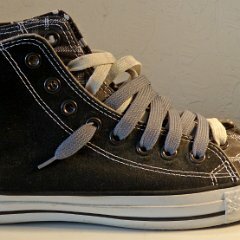 8 Black/Grey/Plaid Double Upper High Top Chucks Insole closeup view showing the double uppers and tongues. 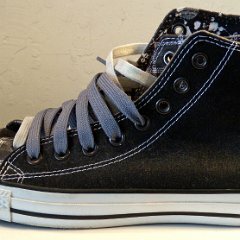 9 Black/Grey/Plaid Double Upper High Top Chucks Outer sole views. 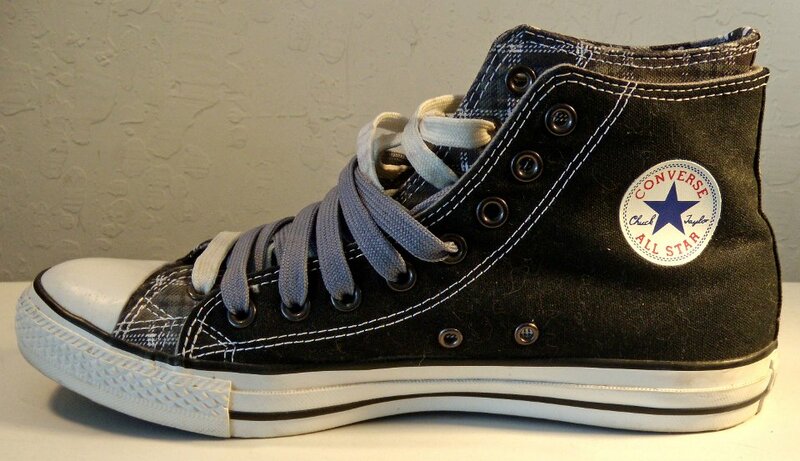 These size 10 1/2 Black/Grey/Plaid Double Upper High Top Chucks are like new. 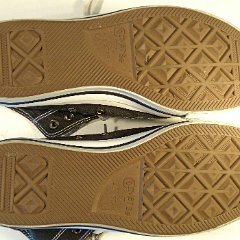 All features of the shoes are intact. 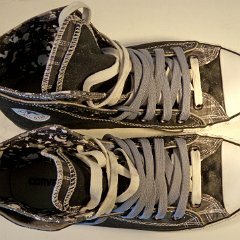 The outer upper is black with a grey interior. 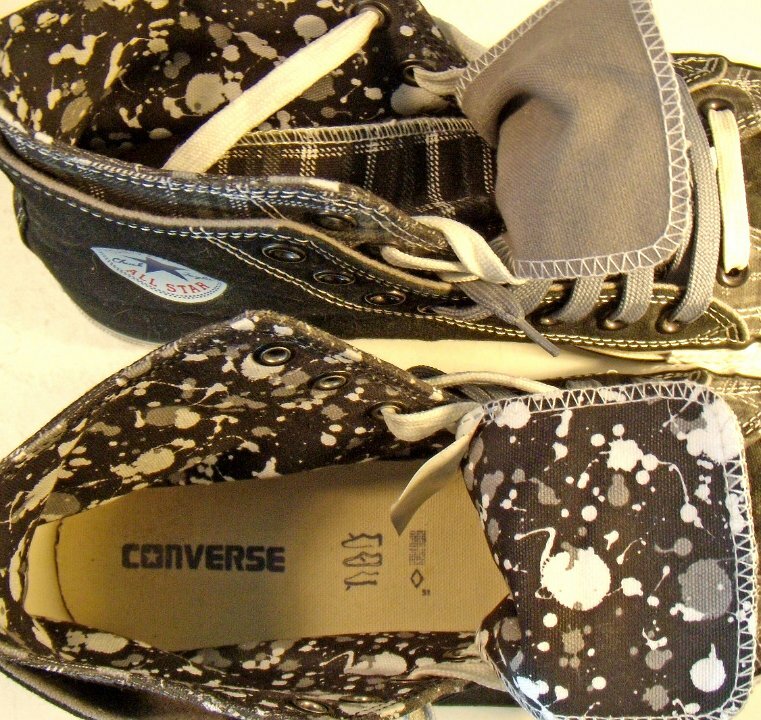 The inner upper is plaid on the outside and has a dotted graphic interior in black, white, and grey.The insole is standard light brown in color. 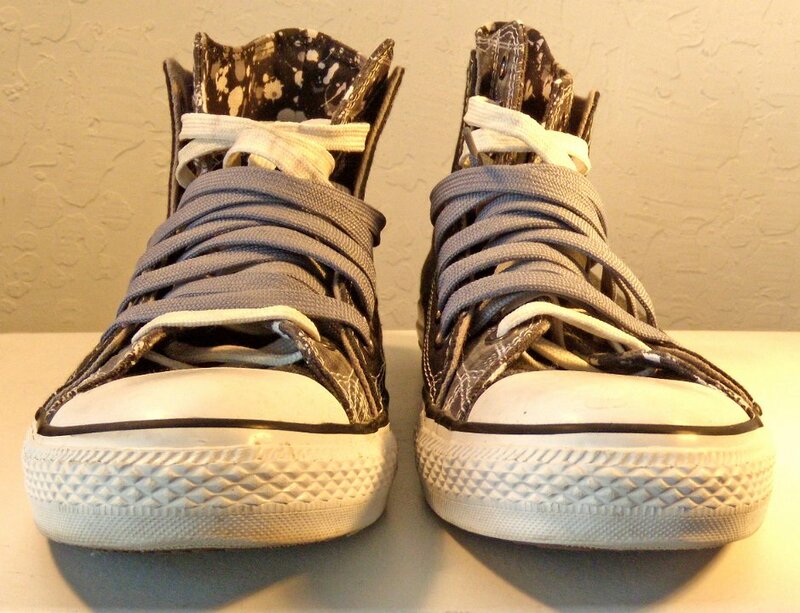 Both upper have the standard Chuck Taylor signature ankle patches The racing stripes and heel patch are black on white.The shoes come with white and metal grey laces. 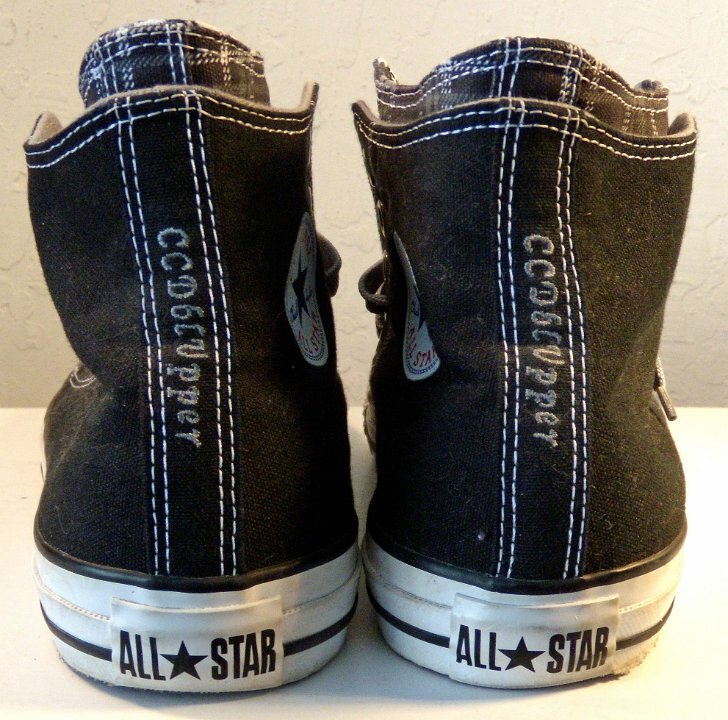 The outer tongue is black with a grey underside. 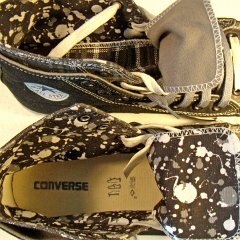 The inner tongue is black, white and grey plaid on the outside, and the dot graphic inside. 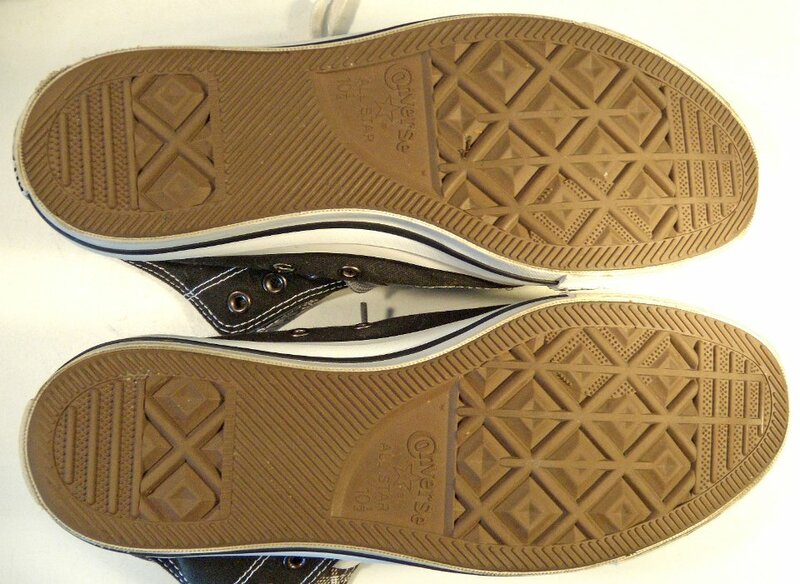 The rear writing says CC Dbl Upper. 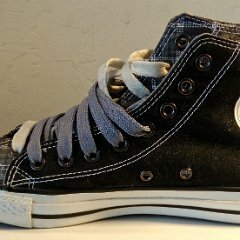 With these double upper/double tongue models no longer being made, this is a rare opportunity to acquire this distinctive high top.